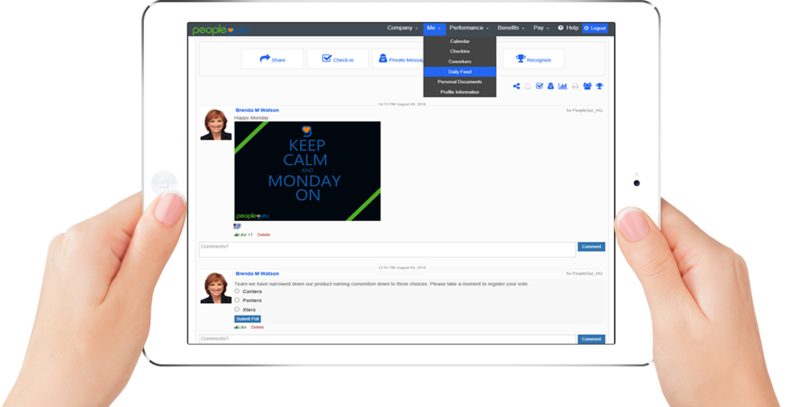 PeopleGuru offers a modern day social communication platform that helps to improve employee engagement, encourage collaboration, and drive overall efficiency for both managers and employees. A single employee profile panel provides employees complete access to their HR Records, Benefits, Payroll, and Personal Documents. Employees can also easily manage their time off requests. Submissions, approvals and notifications are delivered through the employee daily feed, text or email.